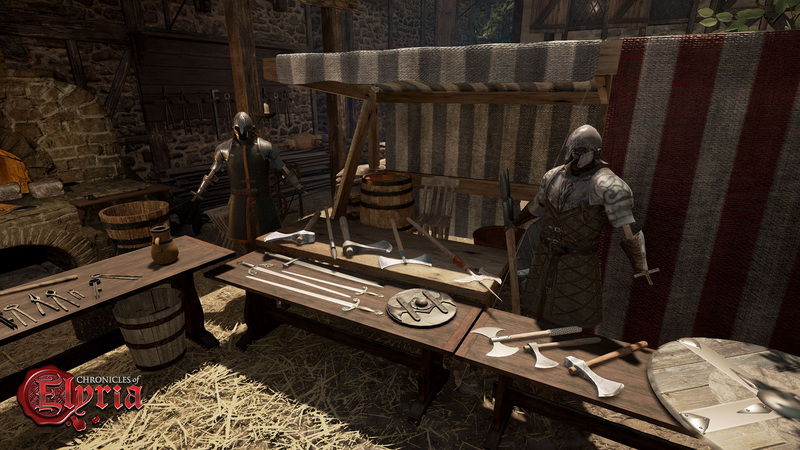 To maintain realism, your character remains in-game from the moment of creation until permadeath because you wouldn't want to be interacting with a merchant only to have them sign out and disappear from the world. When you sign off to enjoy life in the real world, your character continues as an Offline Player Character (OPC) supported by AI scripts. But, we all know AI is never as good as the real thing, so we're working on a system that allows you to create and trade scripted Behaviors for your characters. These Behaviors will let you do things like train character skills, run a storefront, perform weekly trade routes, rest, do some gardening, and many other things. While we plan to provide a lot of pre-canned Behaviors at launch, we're really excited to see what the community can come up with, and plan to provide a lot of support to those players interested in expanding the game in this way. Since your character stays in the world even when you sign off, your character will continue to age as an OPC. That also means that, yes, it is possible for your character to die while you're offline. We recommend either signing off in a safe place, utilizing Behaviors that know how to respond effectively to danger, or hiring other characters to act as guards.